Nearby, the laundry room has everything needed: washer, dryer, cabinet space, MLS#19011734. Akers Ellis Real Estate Llc. The Villages In St Johns Woods - Just minutes to Historic Downtown Charleston and multiple beaches - both Folly & Kiawah Island's Beachwalker Park are a short drive away. MLS#19011712. Pulte Home Company, Llc. The Villages In St Johns Woods - Homeowners love the landscaping, large private lots, walking trails, salt water pool (opening soon), park & amenity center MLS#19011693. Pulte Home Company, Llc. The Villages In St Johns Woods - Complete with front porch, a beautiful open floor plan and spacious dining room. MLS#19011708. Pulte Home Company, Llc. The second floor has four bedrooms including the Master suite which has dual MLS#19011684. Carolina One Real Estate. Seabrook Island - The owners are original and this house has been well-maintained and never on a rental progra MLS#19011579. Seabrook Island Realty. Off the kitchen is a large laundry room and pantry. MLS#19011524. Era Wilder Realty. The Villages In St Johns Woods - Homeowners love the landscaping, large private lots, walking trails, and new swim club outfitted with a salt water pool (ready soon). MLS#19011607. Pulte Home Company, Llc. Whitney Lake - Just 15 min from downtown Charleston MLS#19011525. The Pulse Charleston. 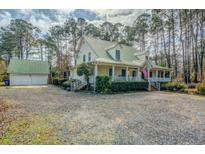 Winnsboro Lakes - 15 minute drive to Kiawah Beach, 15 minute drive to downtown Charleston, close to many amenities. MLS#19011556. The Boulevard Company, Llc. This is one of the few MLS#19011505. Healthy Realty Llc. Cedar Springs - Flood insurance is not required but suggested and is transferrable($425/yr)! MLS#19011453. Seabrook Island Realty.